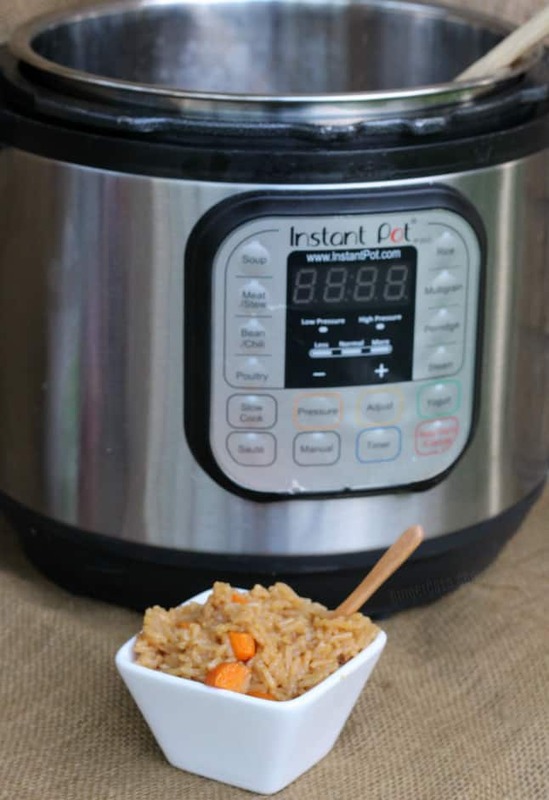 Instant Pot Fried Rice - The Perfect, Super Easy Side Dish! 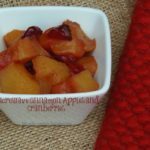 If there is one side dish that always gets devoured, it’s rice It’s such a good filler and it’s very versatile, so I always keep some in the pantry. This Instant Pot Fried Rice is SO good. 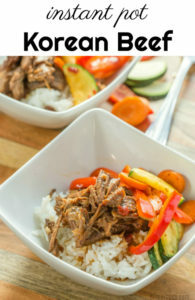 Serve it alongside orange chicken, beef & broccoli, or even Instant Pot Korean Beef. I love that you can add just about anything to this rice. You can precook chicken and add it before or after cooking and it’s delicious either way. Scramble an egg and add it in, too! 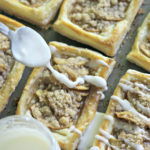 No one in my house likes peas, sadly, so they didn’t make an appearance in this recipe but they can easily be thrown in! I love that the Instant Pot can be used to cook my side dish while I prepare the main meal. Most days, my Instant Pot is in a different room, doing it’s job, while I work in the kitchen. It can be moved anywhere and used to cook just about anything. And it always makes no fail rice! 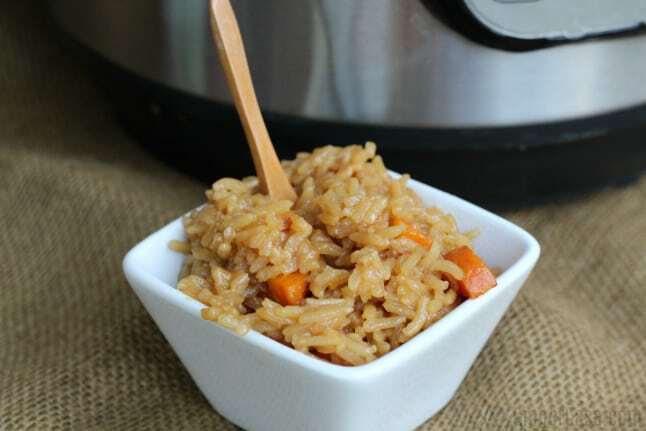 Make this delicious side dish - Instant Pot Fried Rice! Put your oil in the Instant Pot and set to saute'. Add your diced onion and saute for 2-3 minutes. Add in garlic and rice and stir. Saute for another 2 minutes. Add in soy sauce, chicken broth, and diced carrots. 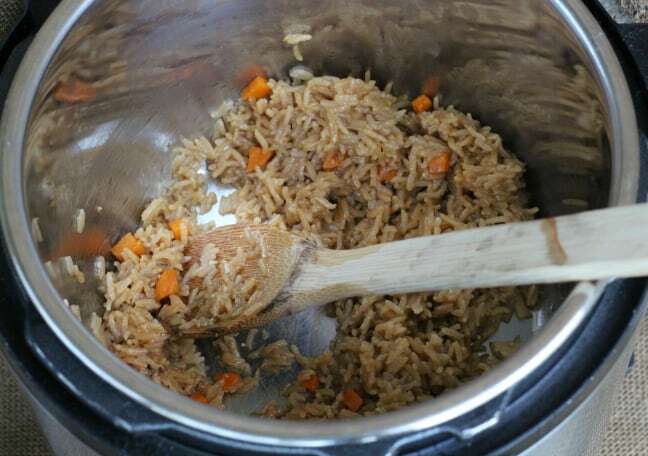 Set the Instant Pot to Manual for 8 minutes. 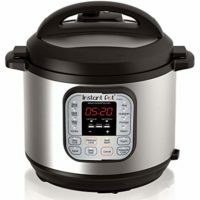 When Instant Pot beeps that the time is up, release the steam carefully. Remove the lid, stir and serve with your favorite meal! 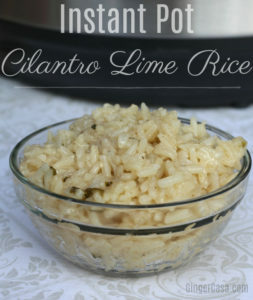 Need More Instant Pot Rice Recipes?